Built in 1888. Used as Immaculate Conception Parish Hall from early 1920's to 1987, when it was demolished. Boston, MA : Robbins Bros., Co. 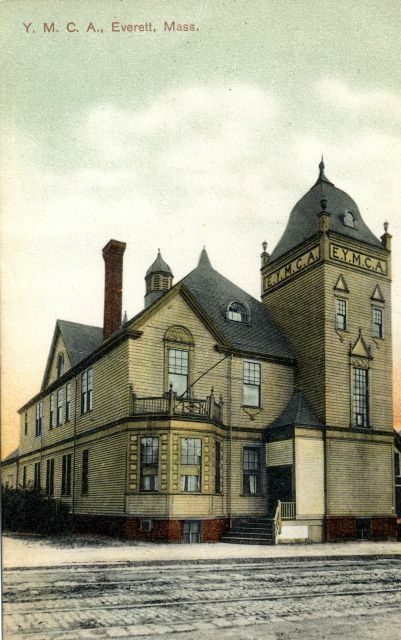 “Y.M.C.A., Everett, Mass.,” Everett Public Library, Everett, Mass., accessed April 25, 2019, https://digitalheritage.noblenet.org/everett/items/show/33.